It is my intention in this article is to explain how to meditate. Zen meditation, (known as zazen) is very easy to do, but requires some discipline. 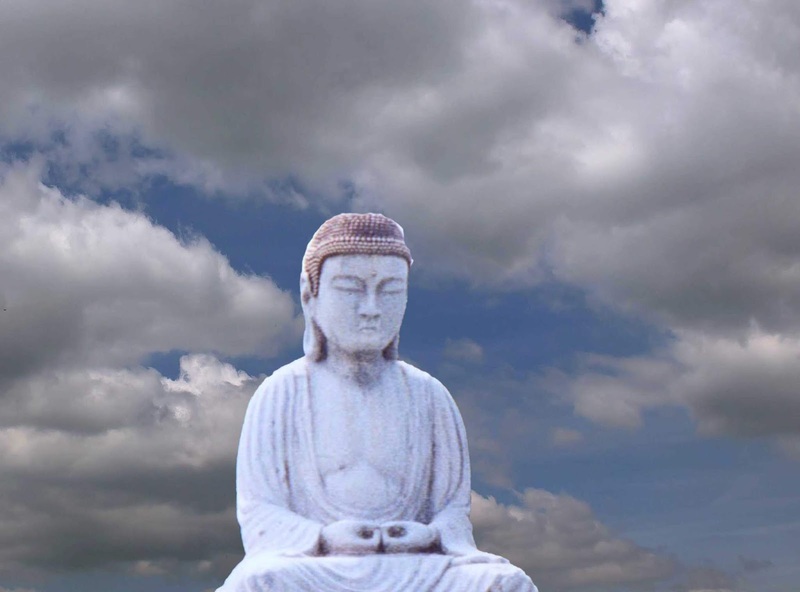 Zen Meditation emphasises focusing on the breathing. This is because, in the East, breathing is considered to be the source of life. Zazen utilises breathing meditation and is one of the most powerful forms of meditation.It involves following the breath to the exclusion of all other thoughts. At first, breathing meditation can be quite a challenge and can become extremely difficult if handled incorrectly. But then, Zen meditation isn't about things being straight forward and comfortable, it is all about challenge as the practitioner picks away at his/her ego until it relinquishes control over the personality. In meditation the mind can be caused to drift into day-dreams (known as makyo) because the practitioner is slouching and not sitting in an erect posture. Such postures can be maintained by sitting in the lotus position, but for many westerners attempting meditation for the first time, this can be extremely uncomfortable. To achieve a good meditation posture that is more comfortable for the western meditator, move away from the back of the chair so you are sitting on the edge, bend forward pushing your chest towards your legs, thrusting your buttocks out at the same time. Then allow your torso to move back to the upright position with your shoulders level with your hip-bones. Place your right hand, palm-upwards on your lap and then place your left hand, again palm upwards on top your your right hand. Allow your shoulders just to hang on your torso and concentrate your mind into the lower abdomen (hara). Now you are ready to follow the breaths. It is easy to explain how to do this form of meditation, but a bit more difficult to meditate in this way for any length of time. But do not worry about this, diligent practice makes this meditation almost like breathing, breathing done with awareness and concentration. Then exhale through the mouth, but slowly - let the breath "trickle" out until there is no more air left. Hold breath for as long as you can. The lower abdomen should flatten. Repeat #1and #2imes another twice. Now just breath naturally through the nose following each breath down into the lower belly and back up and out again, to the exclusion of all other thoughts. When the mind is plagued with unwanted thoughts (which in zazen there tends to be a lot), one needs to accept the thoughts as they arise and then immediately focus back on the breath entering and leaving the body, travelling deep into the lower abdomen and back out again. Do this for the entire meditation sitting which should be around 20-30 minutes - it is best to set a timer so that you are not worrying about the time and looking at the clock all the time. These techniques comes from the East - from India, China and Japan. Meditators out there are capable of remarkable fetes like lowering pulse, blood pressure, sitting in freezing conditions in the flimsiest of robes and elevating their body temperature, and much more. Some of them live to great ages with the energy and vitality of youngsters. They constantly make statements like "Just breath!" and "The breath is life itself"
Focus on "life". Focus on the breath. If you train the mind to meditate in this way whilst you carry on your daily tasks, sooner or later you will realise enlightenment. Live mindfully. Meditatively.